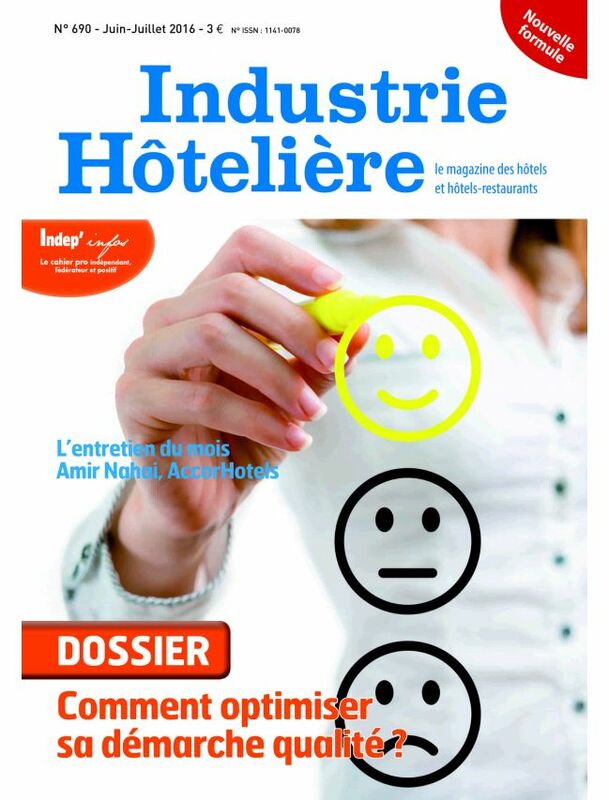 Industrie Hôtelière is the professional magazine for hotels-restaurants and hotels published 9 times a year in France. The magazine is the perfect daily hotel guide for independent, franchise and chained restaurants hotels managers. It deals with reports on the different types of institutions, portraits, and topics such as "Equipment and Technologies", "Accommodation" and "Food and Drink".